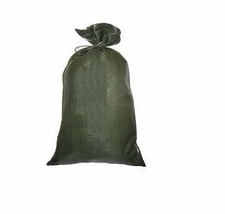 50 pack polyester sand bags with draw string. Available in OD green and white. Unused.